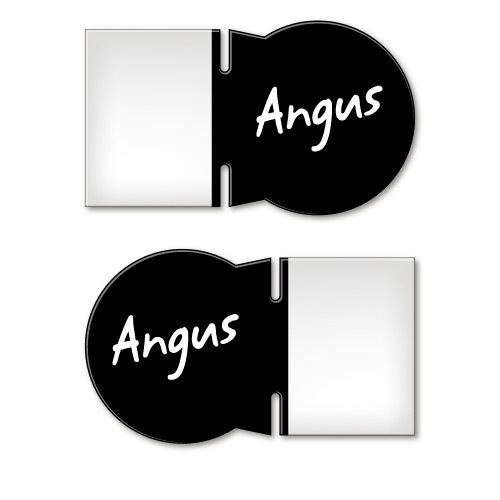 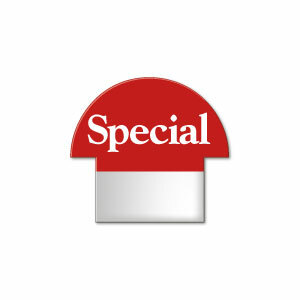 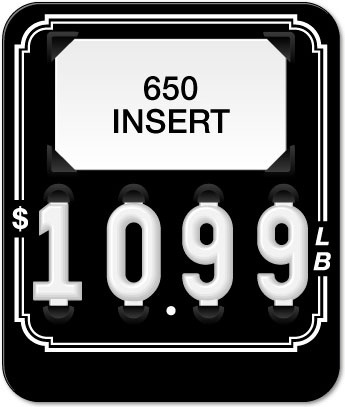 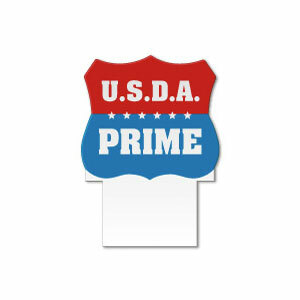 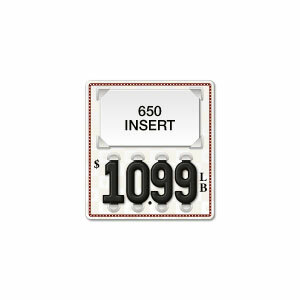 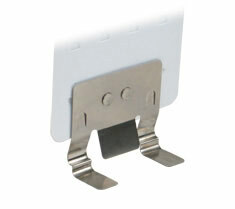 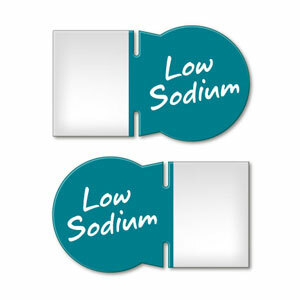 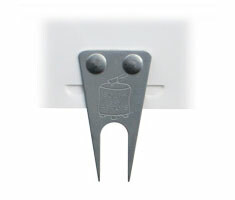 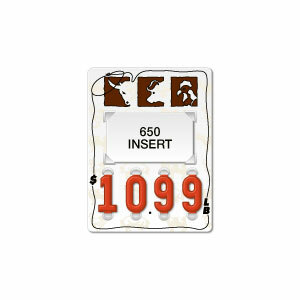 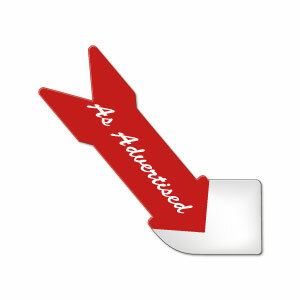 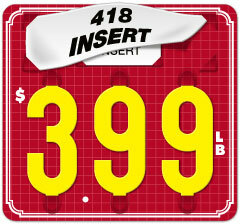 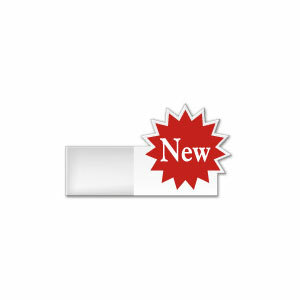 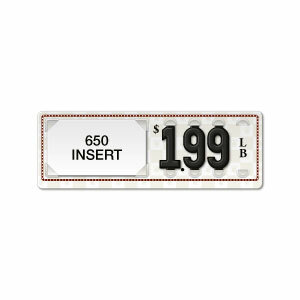 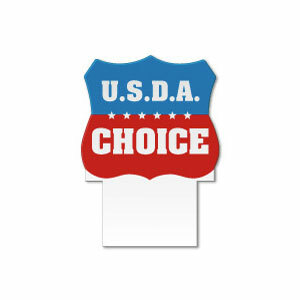 All 627 series tags will accept our 1" numbers and #650 or #S650 product name inserts. 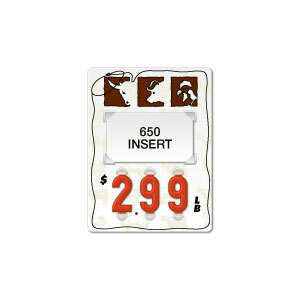 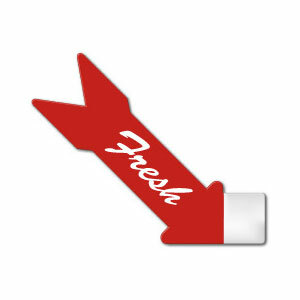 "627" STYLE BORDER TAG WITH "LB"
Features: Border and printed "$", decimal point and "LB"
Features: Farm animal graphic and background, "$", decimal point and "LB"
Features: Farm animal graphic and background, "$", decimal point and "	LB"
All 62 series tags will accept our 1 1/2" numbers and #650 or #S650 series product name inserts. 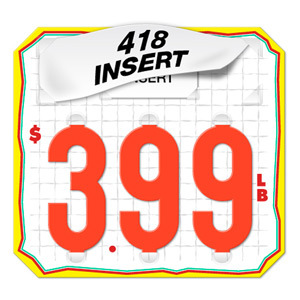 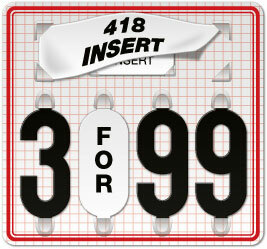 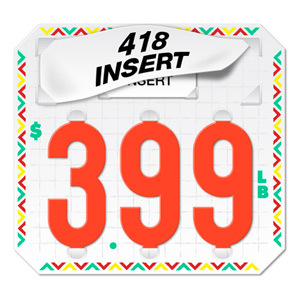 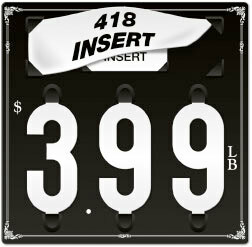 All T66 series tags will accept our 3" numbers and #650, #S650, #418 or #S418 series product name inserts.